As a supplier committed to sustainable customer relationships built on trust and transparency, the following information is offered to support pallet buyers grappling with the current challenges and complexity associated with responsible timber pallet procurement. Understanding the market context is important to validate price rises and to help forecast future outcomes. Woodland cover in the UK is around three million hectares, equivalent to 13% of the total land area. 73% of UK woodland is in private ownership – where there is an increasing reluctance to deliver logs to market while timber prices are forecast to continue to rise. www.savills.co.uk Maximising investment is the objective of increasingly sophisticated forest owners and consequently, felling in private forests dropped by 4% in 2016. Log stocks have fallen and prices have risen. New planting is slightly up versus 2016 but is still significantly lower than the preceding 10-year level (almost half). The UK’s dependency on timber imports to meet domestic demand exposes the UK timber buyer to global market influences, impacting both price and availability. Buoyant alternative markets and unfavourable exchange rates are fuelling a growing scarcity of imported timber, and UK timber buyers are faced with limited competitive alternatives (German, Canadian, Chilean at 20-25% higher prices and limited availability). Whilst still an important market for Latvian pallet timber, supply to the UK is increasingly being seen as less attractive and suppliers have been motivated to seek out alternative markets including the Middle East, North Africa, China and Korea where significantly higher prices are being achieved. This is keeping availability very tight, especially for softwood specifications. Availability of pallet timber is likely to be a most significant feature of 2018. Supplier relationships will undoubtedly be tested. Economic recovery has gained pace in Western Europe and global trade is picking up which is generally leading to a growing demand for sawn timber. The main market for wood in Europe is construction. The 200,000 new homes being built each year in the UK are increasingly being constructed using timber-frame techniques. Long-term, government-backed, domestic housebuilding commitments are helping to drive sustained growth with a resultant increase in timber demand and price. The autumn budget has again restated the commitment to building new homes at an increased level of 300,000 new homes annually by the mid-2020s. In addition, there is an expectation that there will be growth in infrastructure-related contracts. UK economic stability is also an important factor in price stability. There has been Brexit sensitive exchange rate volatility throughout 2017 which has significantly weakened the Pound (-13.8% since June 2016). The impact on pallet timber and timber imports generally was felt almost immediately following the Brexit announcement. Despite recently improved (ONS) retail sales data which have supported some signs of marginal recovery against the Euro, this has yet to impact positively on timber prices. Pallet timber prices have risen for the 15th consecutive month (Markit/CIPS UK Manufacturing PMI, Nov 2017). The UK Poyry timber index reports a near 25% increase since Q1 2016. The German HPE hpe.tops.net/daten-und-fakten/holzpreisindex/hpe-price-index/ and French CEEB indices reflect a similar trend. With timber representing the most significant element of total cost, new pallet sales prices are inevitably rising across Europe. Reconditioned pallet prices are also rising and availability is under pressure, as demand grows in reaction to rising new pallet prices. Logistic challenges have impacted on log availability in Latvia, which has historically been an important volume supplier into the UK. 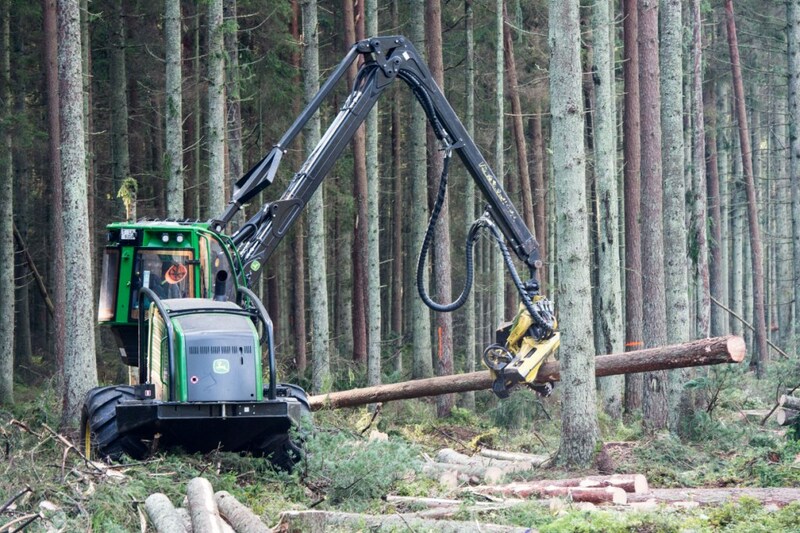 Unusually high levels of rain in Latvia since the summer have made log extraction difficult. Log inventories at the mills are very low and shipments, unable to make their volume commitments, are being delayed. Increased demand for wood to feed the government incentivised biomass industry has created competition for wood fibre and contributed to reduced log availability and price leverage. The potential impact of this is already evident at larger UK mills where production is being limited rather than paying higher prices. Despite rising costs, timber pallets remain the sustainable first choice for buyers. Increasingly buyers focused on costs and the environment are looking to work more collaboratively with their pallet suppliers to tailor a solution to meet their business’ needs. This could include redesigning pallets to reduce overall timber content while maintaining operational performance and safety criteria, sharing distribution data to support pallet recovery, repair, and reuse, switching from new pallets to reconditioned pallets, working smarter to reduce logistics costs by establishing onsite operations or making joint backhaul arrangements. Buyers committed to sustainable procurement practices will increasingly recognise the value of a pallet supply partner able to manage the complexity of the timber market; offering supply security and innovative solutions to help manage rising costs. Support from experienced account managers with access to credible technical support will add significant value.